You’re a self-aware woman who values personal and spiritual growth. You’ve come far in your healing journey, but you struggle to use the fruits of your growth with those you love. When you’re triggered, doubt yourself, or experience self-judgement, you question your ability to be the person you want to be for yourself and your family. You strive to feel connected to your family and want your kids to have a better experience growing up than you did. Or maybe you had a great experience growing up and just want to uplevel theirs. You’re eager to feel close to your partner so you can form a resilient, connected, healed, and happy family. 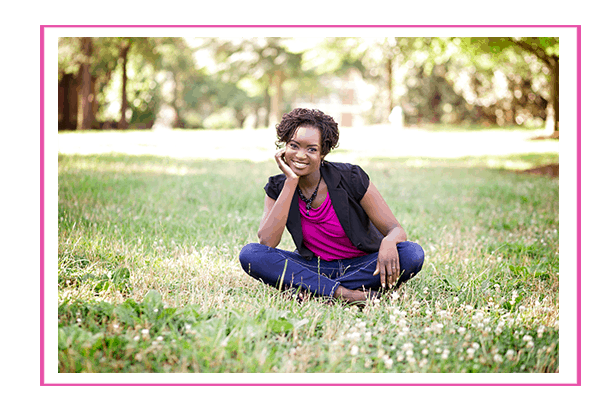 I’m a psychologist and family life coach for self-aware women and their families. My clients often feel a disconnect between how they show up and the parent, partner or person they know they can be, for themselves and those they care about. They feel a deep calling to grow, both personally and as a family, but worry about getting it right when they struggle with guilt, doubt, self-judgement, overwhelm, or rely on unhelpful patterns they experienced growing up. I help them calm their inner chaos and strengthen those relationships that matter most so they stay connected and continue growing. Rejection and pain were familiar to me as a child. When I was 10 years old, I lost my grandfather to Alzheimer’s disease. As a child, he was my protector and beautifully filled the dad role when my biological father chose to leave the picture after my parent’s divorce. In my mind, the two most important men in my life had forgotten me. Middle school was H.A.R.D! I experienced constant physical and emotional bullying and at 13 years old, I was molested. Those experiences weighed heavily on me, and I started to believe that I was powerless and unworthy of better treatment. By high school, the “not good enough” thoughts buzzed in my mind like a swarm of bees. When the sting of those thoughts became unbearable I attempted suicide, but dying that day was not part of my soul’s journey. The attempt was a knot at the end of a long string of experiences and moments I internalized as proof that I was unimportant– a burden not worthy of respect, love, or acceptance. Across generations in my family, the Four Horsemen mindset of pain, blame, shame, and avoidance were used to keep kids in line. “Bad” feelings were invalidated, and a child’s needs were okay as long as they didn’t clash with the needs of the adults in the room. I’m not about reverse shaming my family. I was raised by powerful and deeply admirable women and men who stood by me and did the best they could with what they knew. Over many years and through many experiences, I formed a lot of unhealthy beliefs about myself. I even entered into an abusive college relationship that further supported and perpetuated those beliefs. But I’ve come to understand that some of the lessons I learned through my experiences weren’t always aligned with my deepest truths. Ever since I was a child I had experiences that connected me to something far greater than myself; but up until that point, I never had a “church family.” In graduate school, where I studied to be a psychologist, I met a friend who invited me to attend her Christian church. I developed deep friendships and began to see and speak about the world and my experiences through a spiritual lens; I learned to tap into my intuition and divine gifts. However, after some time the church’s teachings of how “we are like dirty dishrags in the eyes of God” no longer resonated with what I was feeling deep inside. I decided that this perspective did not align with how I was beginning to view myself or show up in the world. I finally had a deep understanding of people’s inherent worth as invaluable souls; that we’re more than the bodies we inhabit and that a conscious, benevolent presence is within and around us all. The same year, I had my first mystical experience; it was as if someone placed cosmic glasses on my eyes. I was able to see how everything in the universe worked together and how it all made sense. These experiences invited me to drop the dishrag and embrace the divine in a new way. Today, my path is guided less by “religion” and more by love, inner wisdom, and teachings that call to my soul. I’m a student of metaphysics and kind of a “sacred text geek.” I LOVE diving deep into the wisdom of various spiritual traditions and meditating on ways to practically integrate that wisdom into my daily life. I also continue to carry and rely upon the loving guidance and insights from my childhood tradition. I am passionate about sharing these insights as I live through, teach, and incorporate this wisdom into the lives of my children so they have the tools I lacked to be resilient, expand, and evolve. As I slowly began what I call my Inner Revolution, I started to question how I was showing up in the world and all the messages I believed about myself. At the same time, I realized that I’d danced awkwardly through a 10 year dating relationship and subsequent marriage with my husband. I realized that we’d been sidestepping our communal baggage. Despite the fact that I’d successfully counseled many people, I couldn’t change the way I was showing up in our relationship. I did know I was still dancing to the beat of the old mindset songs that were playing in my head. Sooo, I did what many therapists do when they don’t know how to heal a certain aspect of their life—I specialized in it! I became an expert in healing trauma, couples and family issues, spiritually-centered therapy, and mindful living. Everything I needed! Or so I thought. The news that I was pregnant washed over me with mixed emotions. What began as indescribable excitement slowly transformed into a feeling of dread. I realized I was afraid to transmit any of the pain of my Four Horsemen onto my first born child. I heard the words of Richard Rohr echoing in my mind: “If you do not transform your pain, you will transmit it.” By that point, I’d helped countless clients in my practice heal their transmitted childhood pain and I knew this statement was true. I wanted a deeper connection with my husband. I wanted to raise my kids differently from how I was raised; I wanted to show them how to be present, aware, authentic, self-loving, and healthy. Maybe I too was worthy of a healing journey–a shift away from those age old patterns that kept me stuck and out of alignment with my deepest truths. From this point on, I knew I had to shift not only my mindset but how I was showing up, to my husband, my child, and other important relationships on a daily basis. I started working with a woman who did deep soul work and through that work I finally saw a powerful self-transformation. I learned that the answers were within me. I embraced and shined light upon the “bad” parts of myself that I’d locked away. I finally began to release the untruthful messages I’d learned early in my life. I was able to show up as the parent, partner and person I wanted to be: worthy, important, powerful, and good. I began to see my personal transformation transfer into my family and I made the commitment to retire the Four Horsemen once and for all. As I began to heal, I noticed powerful shifts in my marriage, how I was showing up as a mom, and in other important relationships as a daughter, granddaughter and sister, to name a few. My spiritual pilot light was lit again. Today, I’m a fellow-seeker, spiritually-centered psychologist, and family empowerment coach. I strive to engage people on their spiritual path, explore how they’re showing up, and help them make decisions on what they want to change. Part of this path is learning that we all have the ability and power to do relationships differently by shifting our mindset, becoming mindfully aware of our experiences, connecting to our deepest, soul-filled Truths and visions, and taking intentional actions. I’ve learned to engage my closest relationships as a spiritual practice through which I consistently grow, heal, and awaken. My closest relationships helped me to see the wounds I needed to heal and the powerful mindset shifts I needed to make to become the person, parent, and partner I wanted to be for myself, my family, and the world. I’m still not perfect (though as a recovering perfectionist it took me a long time to stop trying…it’s still a process 🙂 ). I still feel triggered by my kids, my husband, and others close to me. I still have days where I feel less than my best. But awareness has become one of my superpowers. I’ve become aware of how present I’m being in relationships. I’ve become aware of how unhelpful patterns from my past get in the way of the qualities that make all relationships thrive: connection, compassion, and authenticity. I’ve even realized that in order to honor my deepest truths and most authentic Self, some relationships need to shift dramatically or end entirely. My relationships help me to form a vision of how I want to show up. They also provide me with daily practice to move towards a larger vision of a happy, connected, resilient self and family. My education, life experiences, and extensive training in Spiritual Education and Metaphysics led me to create two models that I use in my practice: The Elemental Living Model for Parenting and Personal Leadership (ELM), and the Spiritual P.A.T.H. Framework for Relationships. The Elemental Living Model uses metaphors and brain science to help people intentionally and authentically shift how they show up in relationships when triggered or frustrated. The P.A.T.H. model focuses on helping people to learn from and shift how they view themselves, their relationships, and the world. I’d love to hear from you! To learn more about how I can help you strengthen your parenting or partnership, reclaim your power, transform your past pains, and live a heart-centered life with those who matter most, check out my Services Page, Speaking Page, or email me directly here. If you recognize yourself in my story of transformation and empowerment, I’d also encourage you to check-out my multi-award-winning spiritual children’s book, My Forgotten Self: A Story about a Girl, an Encounter, and Universal Message. Dr. Willis’ first book, My Forgotten Self: A Story about a Girl, an Encounter, and Universal Message has received raving accolades from leaders in the spirituality, parenting, and publishing arenas; and she has had the honor of delivering its inspirational message to schools and organizations who have applauded its power. 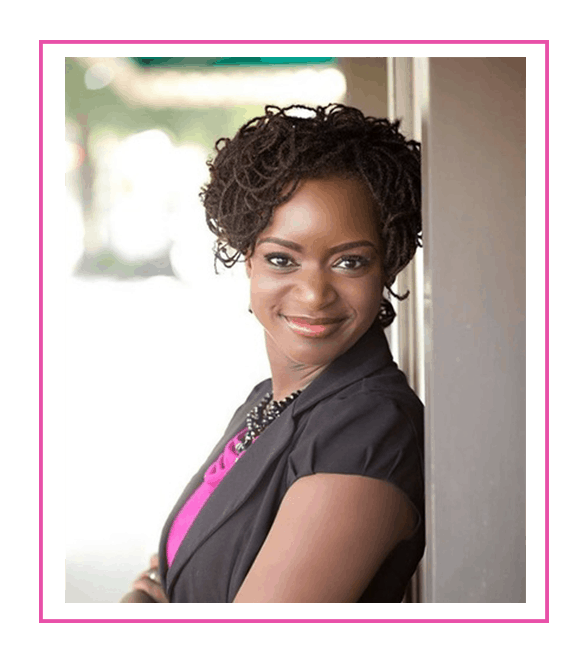 Through her Elemental LivingTM coaching practice, Dr. Willis serves intuitive parents who seek to close the gap between who they are and who they want to be. As a psychologist, she developed specialties in trauma work, couples and family issues, mindful living, and a spiritually-centered approach to therapy. ​Dr. Willis is available for keynote engagements, workshop facilitation, and interviews. For more information and to bring her to your organization or community, please email me here! © 2017-2019. Lynyetta G. Willis, PhD.